Skiing with kids is fun, but it can also be expensive. Lift tickets, lessons, ski apparel, gear rental – it all adds up! And that doesn’t even include lodging and meals. But there are ways to cut corners, especially in January during National Learn to Ski and Snowboard month. The program not only encourages families to learn popular snow sports but offers them great deals as incentive. Some resorts even extend the beginner deals well into the ski season. The cost of a family ski trip can be exorbitant, but with a little planning, there are many ways to enjoy a few days of skiing and snowboarding on a reasonable budget. Many resorts participate in National Learn to Ski and Snowboard month, and in addition, offer free skiing on your birthday, free lift tickets for kids and discounts on area lodging. More ways to slash costs include staying in a condo, cooking your own meals and skiing half days. 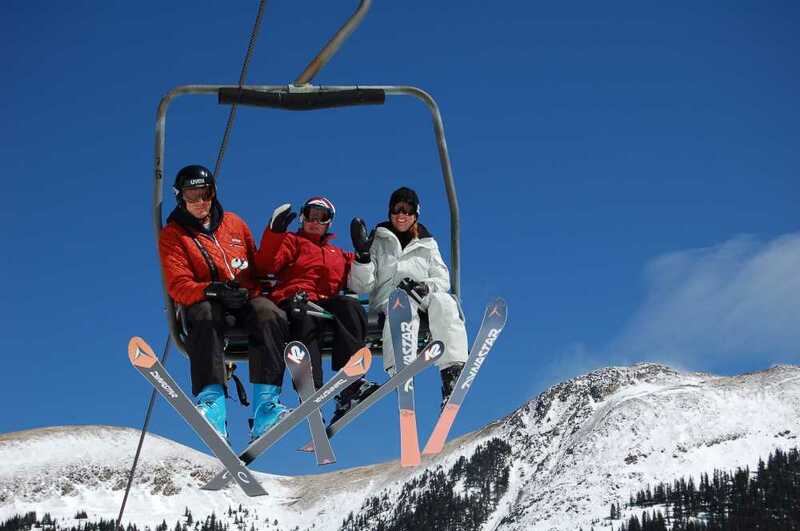 Following are ski deals and adaptive ski programs offered by resorts in California and New Mexico. 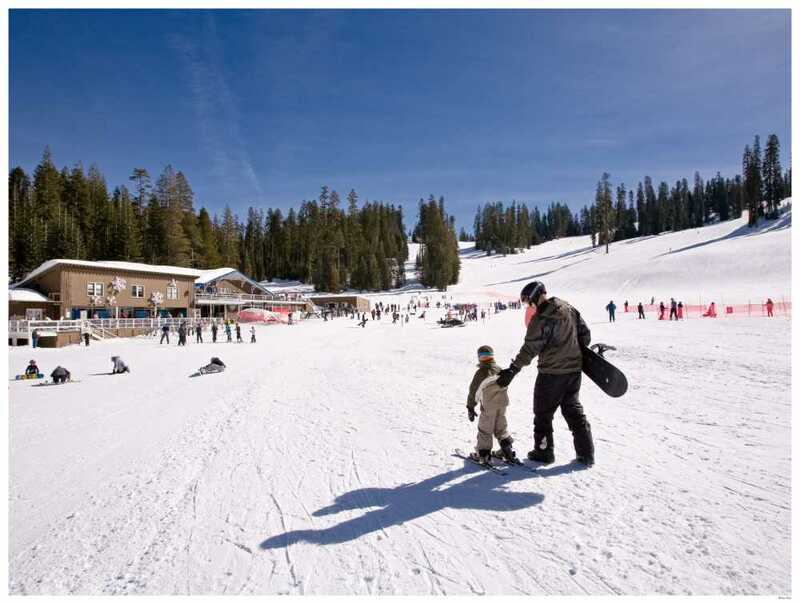 SoCal’s most popular ski resort offers families numerous deals. 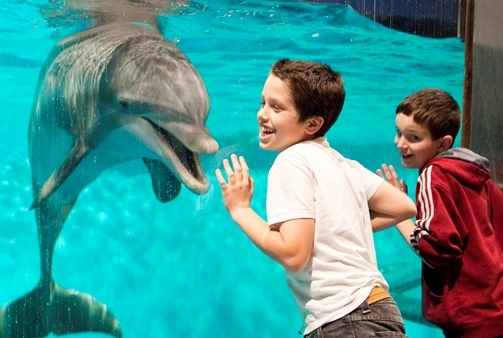 These include the following: Kids ages 4 and younger ski free with a paying adult; ski free on your birthday; active military personnel and their families get a 25 percent discount on that day’s ticket rate; purchase lift tickets up to 72 hours in advance and save up to 20 percent. Call 844-GO2-BEAR or buy online at Bear Bear Mountain Resorts. 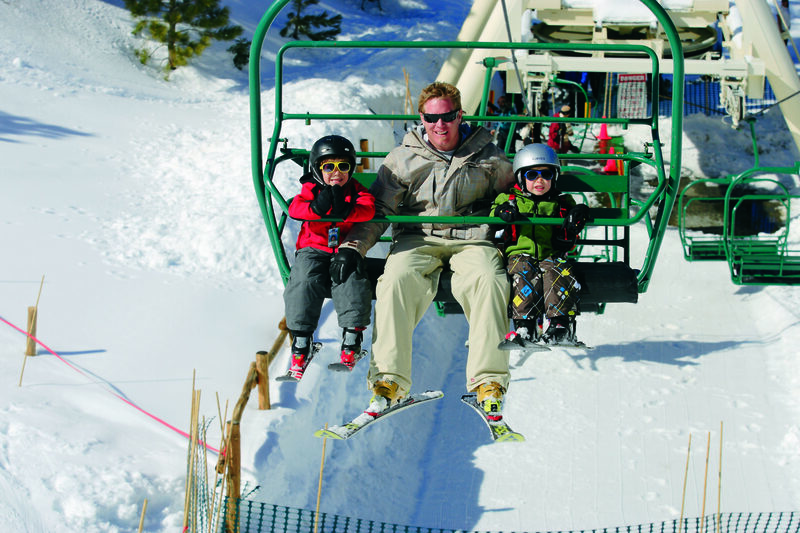 If your family skies a lot, you may benefit from the Calif4nia Pass, valid at four resorts: Snow Summit, Bear Mountain, Mammoth and June Mountain. Bear Mountain is best known for its intricate terrain parks including a 580-foot-long super pipe. But it was also among the first in California to implement an adaptive ski program for kids and adults with physical and cognitive disabilities. Reservations are required. A classic ski resort, Snow Summit’s expansive groomed trails are framed by lake and mountain views. The Family Park has just enough small jumps and rollers to thrill kids. Situated at a lower elevation below Big Bear, this often bypassed resort gets less snow and has fewer trails, but is great for beginners, young families and those looking for quick access to skiing. Short lift lines and weekday discounts are another bonus. Save with the Family Fun Pack: four lift tickets (two adults, two kids ages 7 – 12), $129. Also, ski free on your birthday (show ID.). For many California families, learning to ski and returning year after year for snowy fun is a tradition at Badger Pass Ski Area. California’s oldest ski resort is situated in Yosemite National Park, giving beginners a chance to gain their balance at the legendary Yosemite ski school home to the famous “Guaranteed Learn to Ski” program. Badger Pass Ski Area also offers snowboard and cross-country ski instruction, rental equipment, ski shop, children’s programs, and dining. Stay two consecutive nights at The Ahwahnee, Yosemite Lodge at the Falls, Wawona Hotel, or Curry Village during the winter season and receive two free lift tickets for the Badger Pass Ski Area valid through Feb. 28, 2016. This lodging offer is valid midweek Sunday through Thursday. Free lift tickets are valid midweek Monday through Friday. These mountain resorts are owned by southwestern pioneering ski families who work onsite and treat you like part of the family – and that’s worth something! Located 16 miles from downtown Santa Fe, the resort is owned and managed by the Abruzzo family. The children’s center has a nursery (from ages three months), snow play (ages 3 and 4) and ski and snow board lessons (ages 5 to 11). 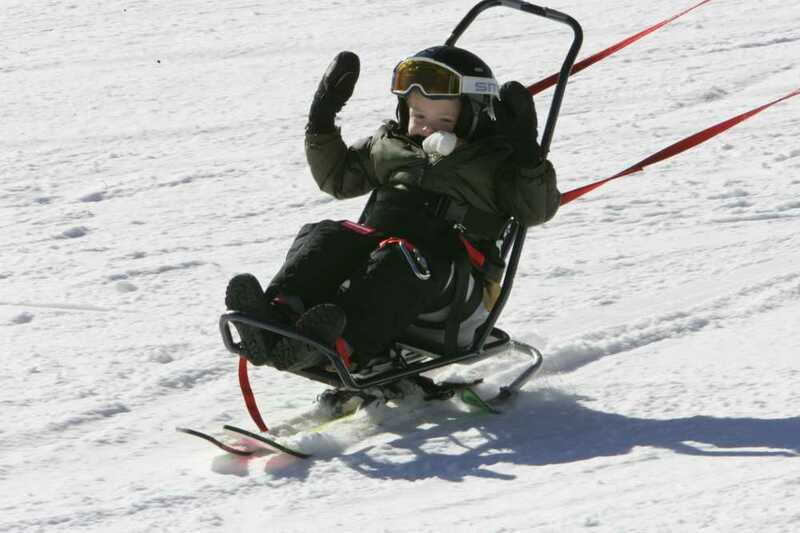 Since 1985, Ski Santa Fe has offered an extensive adaptive ski program for ages 5 and older with physical or mental special needs. Daily and weekly instruction is available in two-track, three-track, four-track, blind, deaf, mono-ski, bi-ski and snowboarding from mid-January to mid-March. $100 includes three-hour private lesson, lift ticket and equipment. Families can get suited up at the comfortable La Casa Lodge, housing a large cafeteria, ticket sales, rental services, a sport shop and restrooms. But it’s the hands-on approach that creates a welcoming ambiance. Mountain Manager Ben Abruzzo, a father of two, not only drives snowcats, maintains lifts and glades trees, he enjoys skiing with guests. The resort doesn’t have lodging, but there are plenty of hotels in downtown Santa Fe. Among them: the El Dorado Hotel & Spa, walking distance to shops, restaurants and a classic Five & Dime General Store for any essentials you may have forgotten to pack. 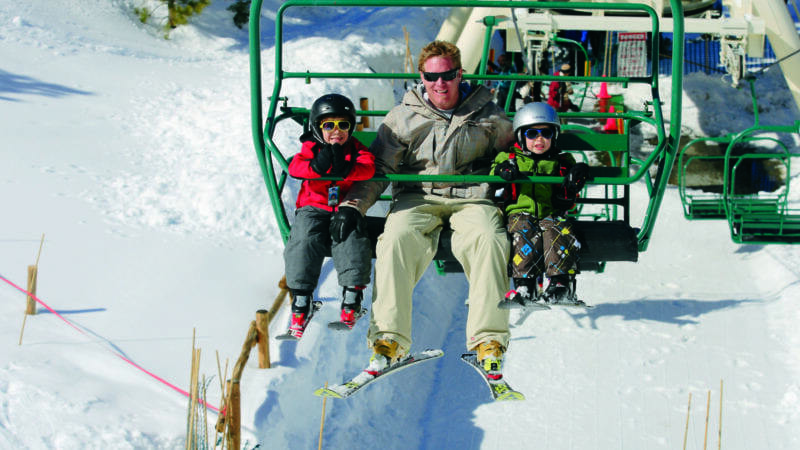 Nestled in a cozy European-style village with restaurants, shops and slope-slide lodging, Taos Ski Valley is known for steep terrain, but it also has a wonderful children’s and beginners area. Kids as young as six weeks are embraced in the state-of-the-art children’s center equipped with daycare and pint-sized chairlifts for kids old enough to ski. 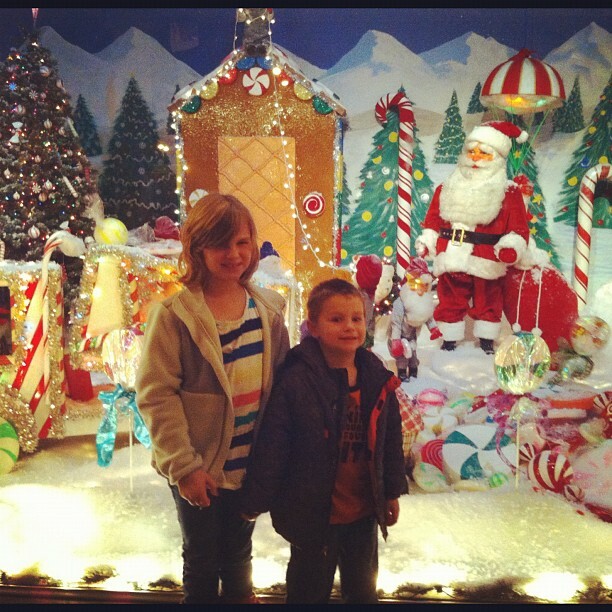 Kids ages 5 to 15 are grouped according to age and ability for ski and snowboard lessons. From the slope-side, fully-equipped Kandahar condominiums you can ski to the nearest chairlift.